Looking for ways to improve your students' pitch-matching? Vocal exploration is such a great way for students to get into their head voices...and it's so much fun! Here are three quick ways to get students exploring their voices, especially around Halloween! This is a really fun book, especially around Halloween! 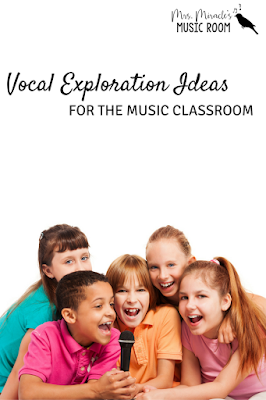 For vocal exploration, you could have students make ghost sounds to match the ghosts on the page (for the ghosts on the clothesline, students could just sing one pitch, for the ghosts who are upside down, you could have students sing from high to low, etc.) There is a witch in the book too, so you could connect it to both "See the Old Witch" and "Miss White." To find the puppets on Etsy, just click the picture. Aren't the puppets cute? 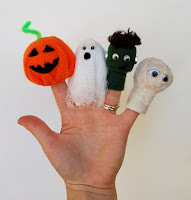 The teacher can hold a ghost puppet and give another ghost finger puppet to a student. The teacher can make a ghost sound or pattern, and the student responds with something different, like you would in a conversation. This is a cute activity for both Halloween and any other time of the year! Instead of two ghost puppets, you could use the ghost puppet and the Frankenstein puppet, and have the student holding Frankenstein make monster sounds. This might help them understand the idea of having a conversation better anyway! So fun! To prepare for my Kindergarten informances next week, I made a few animated slides for vocal exploration to connect to the chant "Bee Bee." You can download it for free by clicking on the picture below! 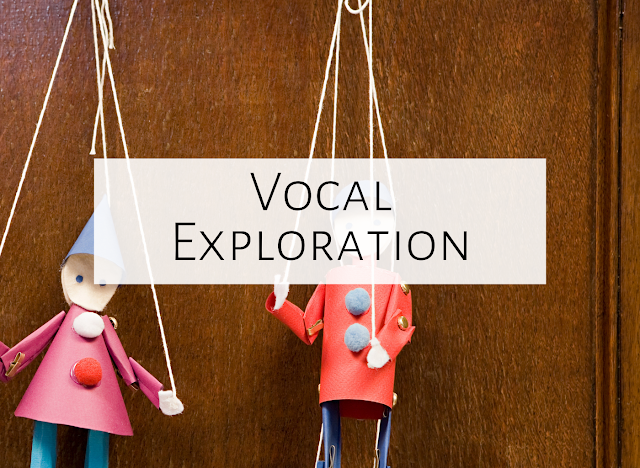 What are your favorite ways to have students explore their voices? Feel free to comment below, and happy teaching! 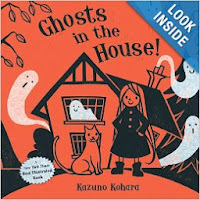 Ghosts in the House has such beautiful illustrations. My art teacher buddy just introduced the book to me this year. I think I'll have to get a copy and use it in my room.